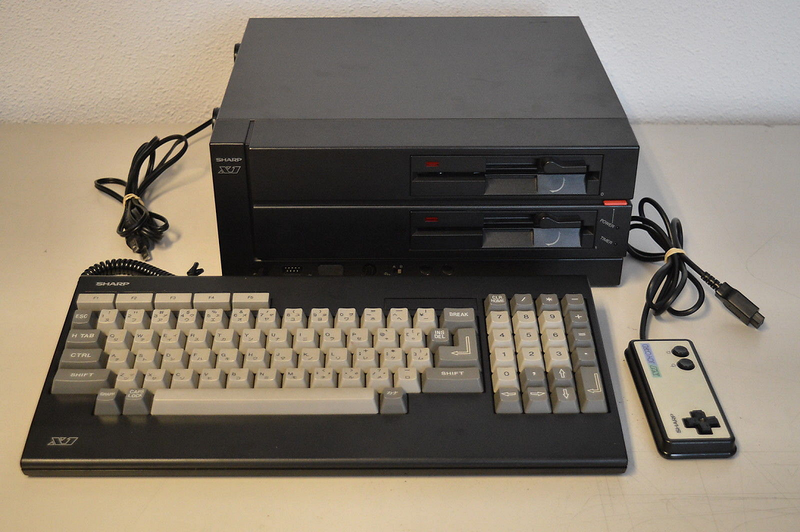 The powerful, rare, beautiful, 8-bit, and absolutely lovely Sharp X1 (CZ-822C) Japanese home computer has appeared on eBay. Besides looking all wonderful, '80s, and sleek, the micro is in apparently great condition, has been tested and is working. It comes with the X1 Keyboard, the X1 Joy Card (a gamepad, that is), and three manuals.